A great alternative for those looking for preparatory skills for business school, or even for those looking to brush up on some basic concepts. “Unlike many other online business courses, CORe participants are graded in each course based on quizzes, a final exam, and their level of participation. The program is largely taught through case studies of issues and challenges at such organizations as Amazon, PepsiCo, The New York Times, and the American Red Cross. But there also are lessons from managers at small, local companies, including the Bikram Yoga studio near campus. Harvard awards a certificate of completion to each graduate and says it will maintain transcripts of the grades. Top performers receive an Honors or High Honors designation, similar to what Harvard MBAs get when they graduate from the school. 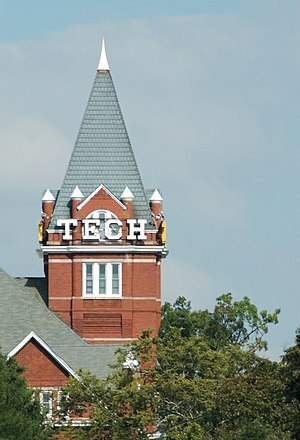 The Chronicle of Higher Education interviewed the directors of Georgia Tech‘s Center for 21st Century Universities. The interview touches upon several key points regarding the challenges and opportunities around the role of technology in higher education. These include the notions of open courses (see the launch of an online interactive learning platform by MIT and free online courses by Stanford), blogs as a medium for content delivery, universities as credentialing institutions and the resultant challenges faced by middle rung schools. What you’re seeing, for example, is technology enabling a single master teacher to reach students on an individualized basis on a scale that is unprecedented. I think what you see happening now with the massive open courses is going to fundamentally change the business models. It’s going to put the notion of value front and center. Why would I want a credential from this university? Why would I want to pay tuition to this university? The blog is essentially an expression of a master teacher’s understanding of a field to people that want to learn about it. We think that there are some very simple layers that can be built under the existing blogging format that can essentially turn it into a massive open online seminar. It’s also a way of conducting scientific research. When you think about what happens in this blog, it celebrates the process of scientific discovery. Read more at Could Many Universities Follow Borders Bookstores Into Oblivion? – Wired Campus – The Chronicle of Higher Education. MIT has announced the launch of MITx, an online interactive learning platform. The prototype will go live in Spring 2012. Coupled with free online courses and course ware, this portends the future of higher education and poses several interesting challenges and opportunities for educators and students. MIT plans to offer certificates under the name of a not-for-profit body to online learners. As online learning and assessment evolve and improve, online learners who demonstrate mastery of subjects could earn a certificate of completion, but any such credential would not be issued under the name MIT. Rather, MIT plans to create a not-for-profit body within the Institute that will offer certification for online learners of MIT coursework. That body will carry a distinct name to avoid confusion. 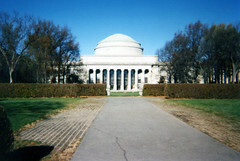 Read more at MIT launches online learning initiative – MIT News Office and What is MITx? – MIT News Office. Stanford University’s Professor Chuck Eesley is offering a FREE online course on Technology Entrepreneurship. Beginning in January 2012, the class will involve 2 hours of lecture videos per week, broken into small chunks. The course will require no textbooks and also offer non-real time teacher / student interaction for online students. More than 33,000 students have signed up for this course so far! How do you create a successful start-up? What is entrepreneurial leadership in a large firm? What are the differences between an idea and true opportunity? How does an entrepreneur form a team and gather the resources necessary to create a great enterprise? This class mixes in-depth case studies and research on the entrepreneurial process. Sign up and read more at Technology Entrepreneurship. YouTube has announced the launch of YouTube for Schools, a customizable user experience that enables educators to restrict student access to the 400,000+ educational videos available on YouTube. … a network setting that school administrators can turn on to grant access only to the educational content from YouTube EDU. Teachers can choose from the hundreds of thousands of videos on YouTube EDU created by more than 600 partners like the Smithsonian, TED, Steve Spangler Science, and Numberphile. The Economist says that middle level business schools in developed economies are finding the going tough as prospective students question their value proposition (starting salary divided by fees). The fees at these schools are increasing due to increases in wages and infrastructure investments. 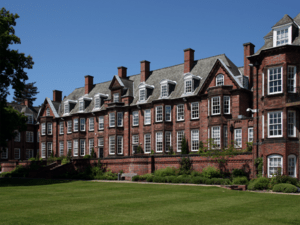 To offset decreasing domestic enrollment, these school have to undertake high costs of recruiting students from emerging economies – which further inflates their cost structures. To continue to attract emerging economy students in the future, these schools will have to consider changes to their curriculum to reflect different realities in different parts of the world. Asian business schools still have a long way to grow. The Economist currently ranks just eight of them among the world’s top 100. Of these, only one, the China Europe International Business School, can be found on mainland China; it has campuses in Beijing, Shanghai and Shenzhen. India, too, has only one: the Indian Institute of Management in Ahmedabad (IIM-A). In time, though, Asian and other emerging-economy business schools will be able to attack the incumbents on a second front: their curriculums. Read more at Business education: Trouble in the middle | The Economist. An initial year-long study by Rice University (from the US ) and Nanyang Technological University (from Singapore) in India has shown that the I-Slate is an effective educational tool. Currently costing $50, the creators of the single-purpose tablet aim to bring costs down to $30 and make the tablet solar-powered. This would allow its use by primary school children in places with no electricity, helping increase literacy rates and social upliftment.